Erin & Jeff’s Engagement Session in Rancho Santa Fe. 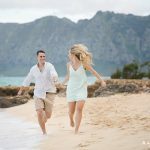 Lilian & Mark’s Engagement Session at Balboa Park and Coronado Beach! 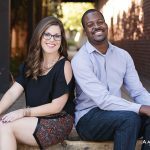 Chelsea & Tony’s engagement session in Old Town Temecula and the Temecula Valley Wine Country. Can’t wait to capture their wedding in 2017! 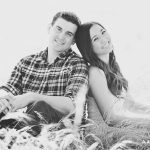 Erin & Austin’s engagement session at L’Auberge in Del Mar and Los Penasquitos Canyon Preserve in Carmel Valley. Can’t wait to capture their wedding day next year at the Santaluz Club! 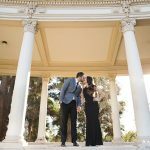 Amber & Andrew’s Engagement Session at Balboa Park in San Diego! Can’t wait to capture their wedding day next year at The Crossings in Carlsbad! Tiffany & Chris’ engagement session at Seaport Village and Sunset Cliffs in San Diego. The 1 month countdown is on till their wedding in October at Green Gables Wedding Estate in San Marcos! I love traveling just as much as a I do traveling and love when I can put the two together. Susan and I had the most amazing time shoot with Steph and Kyle this week on the beautiful island of Oahu in Hawaii. Can’t wait to get back there again!!! 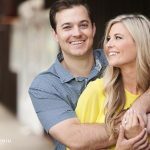 Christina & Tim’s engagement session at Thomas F Riley Wilderness park in Coto de Caza and Old Town San Juan Capistrano. Always love shooting in Orange County! 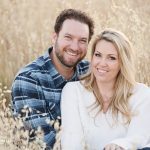 Can’t wait for Christina & Tim’s wedding this fall at the Coyote Hills Golf Course in Fullerton! Karo & Javier’s engagement session at UC Riverside where they both had met a few years back! For the second half of the shoot we headed down to Old Town Temecula. Can’t wait to capture their wedding day this summer at the Villa Del Paraiso in Baja California Mexico! 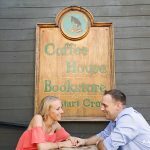 Olivia & Jeff’s engagement session in Encinitas, California! What a great looking couple! Can’t wait to capture their wedding day this coming New Year’s Eve at the Fairmont Grand Del Mar in San Diego!